This week’s top posts on NorthEndWaterfront.com featured real estate, local groups, stories from the old neighborhood, museums and more! Read on below to see the most popular articles from the past week. 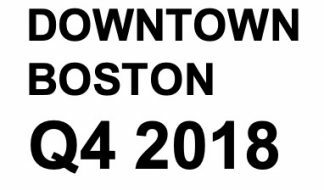 A new report shows that real estate sales in Downtown Boston took a big hit in recent months with the number of sales down 19.3% to 555 in the last quarter of 2018 versus the year earlier period. In addition, inventory spiked with an increase of 28.2%. Read more here. 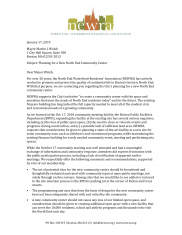 The North End / Waterfront Residents’ Association (NEWRA) discussed at their January meeting a list of priorities to be included in a letter about the new community center to Mayor Marty Walsh. Read more, including the full letter, here. Lifelong North Ender Nicholas Dello Russo shares an intriguing story from his time growing up in the North End. 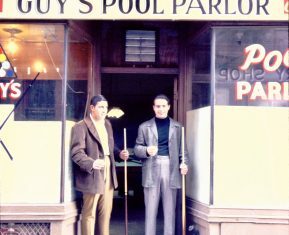 The tale takes readers back to a time when there were many neighborhood clubs and social organizations. It also features some local characters that many commenters seem to remember! Read the whole column here. Duane Lucia, a local historian, community activist and arts enthusiast, has returned to his role as the Executive Director for the West End Museum. Lucia, who actually served as Executive Director for the Museum from 2012 – 2015, will work to increase programming and boost visitor numbers with more exhibits. Read more here. 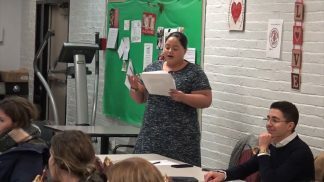 The North End / Waterfront Neighborhood Council (NEWNC) January meeting began with a series of committee reports followed by a discussion of the NEWNC bylaws. Learn more and watch the video here. Applications for the 2019 Love Your Block mini-grants are being accepted now through March 1, 2019. This program provides up to $3,000 for neighborhoods to implement or revitalize a public space such as community gardens and art installations. Read more here.